Sandium Heating and Air Blog: What are the Advantages of a High Velocity HVAC System? What are the Advantages of a High Velocity HVAC System? A standard, low velocity, air-conditioning system is effective, if somewhat inefficiently for a lot of homes. Very first, a refrigerant liquid is cooled from the condenser on the exterior of the house. Then it's moved inside to the evaporator where it's allowed to turn into a gas again. These steps substantially cool the temperature of the gas which is inside a series of tubes. The last element of the cooling process blows air across these tube. Air is then pushed into the living area by a blower fan and cools the home. This process has worked really well for several decades but present times demand modern-day solutions. Perhaps the biggest issue using a low velocity, HVAC system is that the cooled down air is only immediately available in a little area of the space. Movements in the space by individuals, pets or by simple conduction gradually cool the entire room but a at an unacceptably slow-moving rate. High velocity HVAC systems directly address this deficiency. An additional, far more convenient answer, as the title implies, high velocity HVAC systems push air into a space at a much higher rate of speed. This force generates a multitude of air currents that equally disperse the cooled air in a much shorter time period. 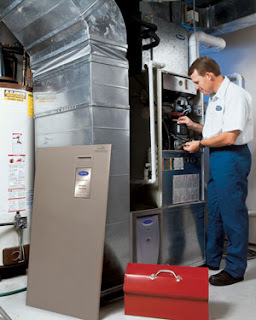 High velocity HVAC systems in addition offer other added benefits. The ductwork required for a high velocity system is a lot less intrusive and installed alot more affordably. Because of their smaller size, the ducts may be put far more advantageously and precisely to a customer’s requirements. Finally, they take up a more compact profile in a room and blend in with décor to a much greater degree. While, the conventional HVAC systems might appear to be the most preferred choice since they are the tried and tested, home owners should still consider a high velocity looking to totally replace their Air conditioning systems should look at a high velocity system. Most believe that they are able to reuse their pre-existing ductwork however the duct work utilized in high velocity systems is incredibly different from the conventional duct work. Due to this final fact in mind, a high velocity HVAC system becomes alot more competitive regarding installation and operating costs.